Kicking off New York Comic Con, Bandai Namco announced a brand new game featuring the Mighty Morphin Power Rangers; Mighty Morphin Power Rangers Mega Battle! 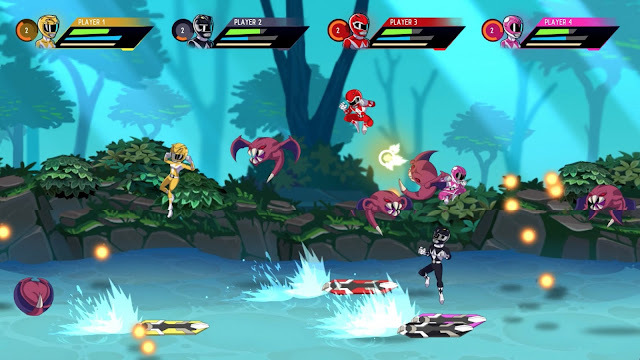 A beat-em-up, side-scrolling game featuring the original 6 Rangers in an all new story. If you were able to attend NY Comic Con this past weekend you were able to get first hand experience with the new game. Saban’s Mighty Morphin Power Rangers: Mega Battle provides a creative and modern re-imaging of the classic multiplayer beat-em-up genre. 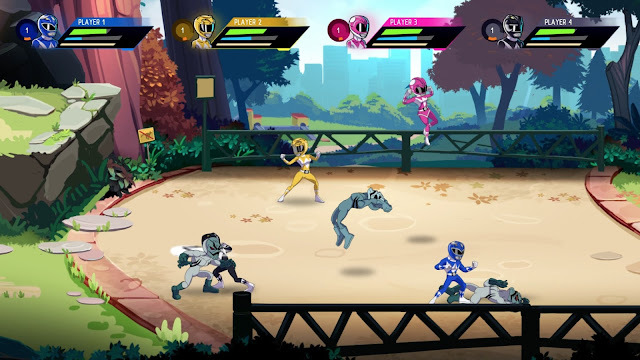 Level up your rangers, team up with friends, summon the Megazord, and fight your way through levels stylized after classic Mighty Morphin Power Rangers episodes! 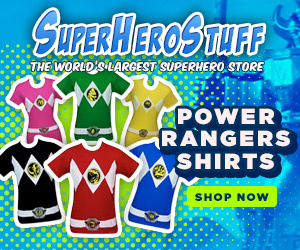 Morph, use weapons & martial arts, and summon the larger-than-life Megazord! Includes light, heavy, weapon and projectile attacks. Players will be able to integrate weapon strikes into different combo strings! Players can level-up and unlock new moves, attacks and weapons. Unlock Tommy Oliver in his Green & White Ranger costumes as well as the human characters Rocky, Aisha, Adam & Kat from MMPR season 2! Each level is based on a classic episode from the TV series. The levels are filled with familiar dialogue, background details, cut scenes, and enemies pulled straight from the first two seasons of the show! 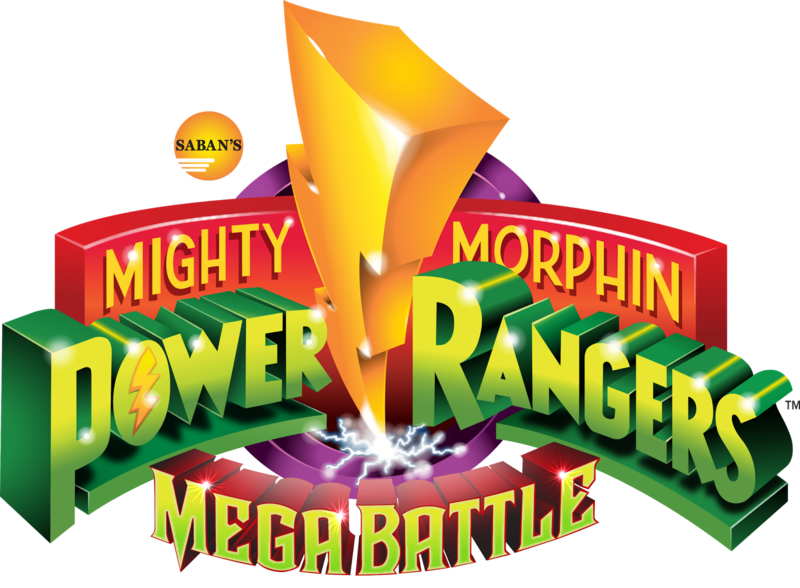 Saban's Mighty Morphin Power Rangers: Mega Battle is due for release in America Winter 2017.